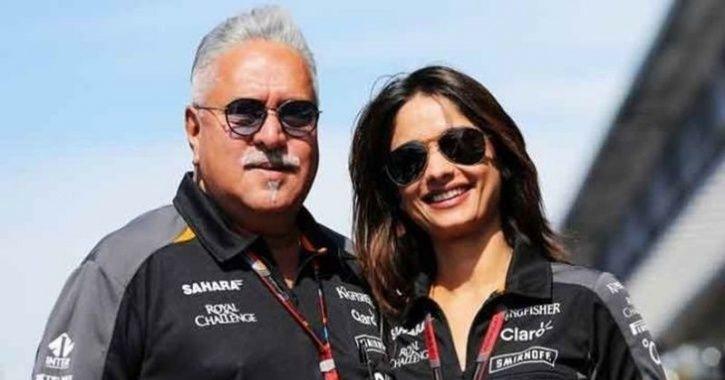 Fugitive Vijay Mallya set to marry girlfriend Pinky Lalwani? Fugitive business tycoon Vijay Mallya is set to marry for the third time in his life to girlfriend Pinky Lalwani, if the reports are to be believed. The two are in a relationship for six years now, it is learnt. There is widespread curiousity who Pinky Lalwani is and how did she come into Mallya’s life? Before we spill the beans about their marriage (it will be Mallya’s third), let’s get to know about the ladylove of the man, who scammed the nation of Rs 9000-crore and is camping in England. Pinky is a former air hostess of the now defunct Kingfisher airlines woned by Mallya and she met Mallya in 2011. As per reports, it was Pinky’s stint as a airhostess with Kingfisher Airlines that the two got into a relationship. The two were spotted together on numerous occasions all these years. Back in 2017 when Mallya was on a run for his life after he was accused of Rs 9000-crore scam, Pinky Lalwani reportedly accompanied him when he fled the country. Pinky has been part of Mallya’s family for quite awhile now and she has been also close to Mallya’s mother and son, Siddharth Mallya. The two have also been spotted walking hand-in-hand in some family gatherings as well. According to reports on Yahoo News, Mallya, 62, has been in a live-in relationship with Pinky and the two now have decided to take their relationship to the next level. Mallya was previously married to Sameera Tyabjee, an air hostess and the mother of Siddharth, and then married his second wife Rekha in 1993 with whom he has two daughters, Leanna and Tanya.